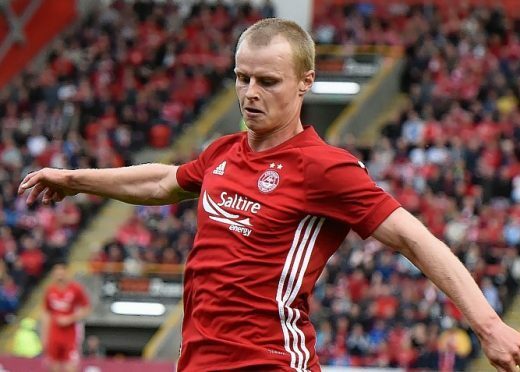 Aberdeen have been dealt a blow on the eve of their crucial Premiership match against Rangers after Gary Mackay-Steven was ruled out the game. Dons winger Niall McGinn is also struggling for the big match against the Gers at Pittodrie after suffering an injury in the goalless draw against Hibernian on Saturday. Victory for Derek McInnes’s side tomorrow will guarantee European football for the fifth season in a row and the Dons boss did receive some good news with Kenny McLean available again following suspension while fellow midfielder Chidi Nwakali has also recovered from an ankle injury. “The Aberdeen manager said: When you get down to the last couple of games, it’s good that you have something to play for and hopefully we can clinch Europe tomorrow night.